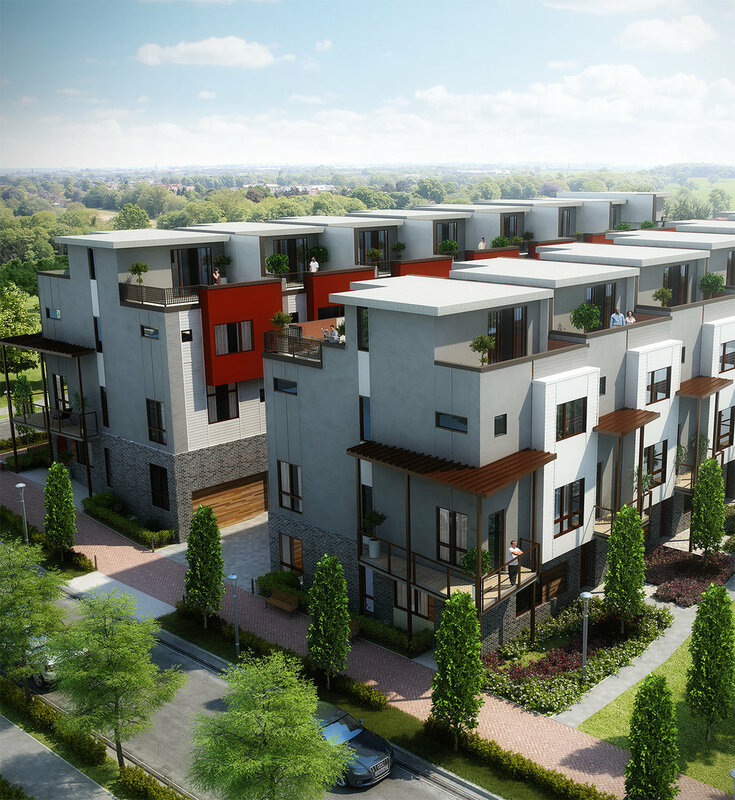 16 unit townhome project in the Kirkwood area of Atlanta. Each unit is 3 levels and a roof terrace with city skyline views. 3 bedrooms, 3 baths, 2 powder baths, open main level with custom steel stair and 2nd level terrace. Roof terrace features bonus room, 1/2 bath, access to front and rear terraces, gas grill connection and optional wet bar. Entry drive provides access to each unit's large 2 car garage. Brick, and steel features. Visit the Real Estate Agent Allen Snow for updates.